You are here: Home » Where in Westeros Have You Been? Where in Westeros Have You Been? 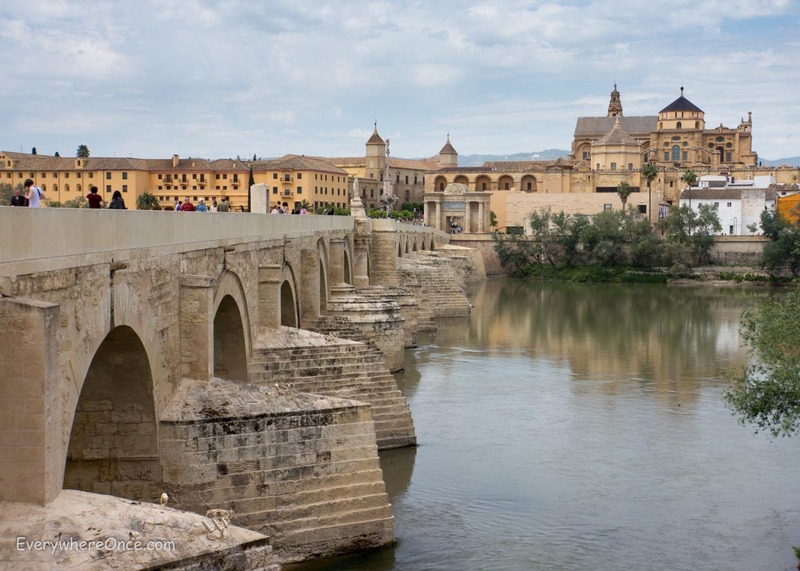 The Roman Bridge in Cordoba, Spain is also . . . I have to say that this has me geeking out a bit. It’s not every day you come across something that wraps travel, fantasy, television, literature and European maps all into one beautiful package. So it’s no surprise that when I discovered a map showing all the Game of Thrones filming locations it consumed way more of my time than it should have. The fun thing about this for us is seeing just how many of these places we’ve been to. We never got around to exploring any of the Lord of the Rings filming locations in New Zealand. Somehow, though, we seem to have found ourselves at several spots used as backdrops for Game of Thrones. As luck would have it, I’m currently writing this post from the fairytale walled city of Dubrovnik, Croatia, which makes several appearances in the television show as the capital city of Kings Landing. Later this year we’ll see more of Kings Landing in Split, Croatia. We’ll also visit Braavos; tour some of the Westeros countryside; and even venture North of the Wall in Iceland. None of this we planned. I also learned from this map that last year we unwittingly toured the Royal Palace of Dorne, crossed the Bridge of Volantis, and even made a stop in Winterfell. We’re seeing so many Game of Thrones locations by chance that it almost feels like fate. We haven’t gotten around to planning next year’s itinerary, but if this map and our past track record are any guide I’d say Northern Ireland and Malta are shoo-ins. Very cool! Also gives a good idea of the scope involved in filming Game of Thrones. So many locations must make for a very complex filming schedule. We were thinking the same thing. There’s a little island here in Croatia where they filmed scenes in the “House of the Undying” but most of the rest of those characters are usually filmed in Morocco. awesome!!! I think Dorne would be where I lived! 😉 plus, the people of Dorne are all gorgeous! When we were recently in Rome, one of our party, who researches primiary through popular culture, wantd to see where Dan Brown’ “Angles and Demons” took place. I plotted out the churches and major locations to include here and there along our trek. Each time I pointed out that this happened here in the book, our friend repeated “That’s not what it looked like in the movie.” I finally realized that I read the book (with prior knowledge of Rome’s locations), but she watched the movie, which we filmed in Napals. Ironically, we were in Napals earlier in the trip, but did not see any of the locations where the filming occured because we assumed they used locations in Rome. Ha, ha. Hope you saw the movie BEFORE visiting the sites. I once watched a movie I can’t remember the name of but, as soon as a building from a town I was very familiar with came on screen, I was no longer absorbed in the movie. They kept showing the beautiful court house in the town but it was suppose to be the family’s home in the film. I really love recognizing places in media that we’ve actually visited. Whether its a high-gloss photo in a Peter Link gallery, a pastel hued impressionist painting in the Dorsey, a real location on the Amazing Race, or a fantasy rendition in a movie, Shannon & I get a huge thrill out of spotting destinations. In one way it’s like a game. In another, it’s like all of media is one giant scrapbook of memories.